How-tos, and list articles that bring visitors back (and are easily monetizable). Don't waste your time on unfocused "million-article" PLR bundles, you'll get duplicate content that is unwieldy and impossible to use. Wherever possible we have filtered and organised our content into targeted sub-categories to make your life easier. If you have 6 websites - each focusing on different business and marketing niche topics - this bundle would give you enough content to last 6 YEARS at 1 post a day per site - quite an investment. 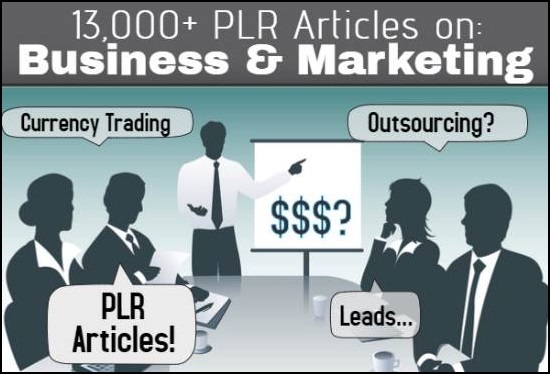 13000 Business And Marketing PLR Articles bundle is ranked 5 out of 5. Based on 1 user reviews.